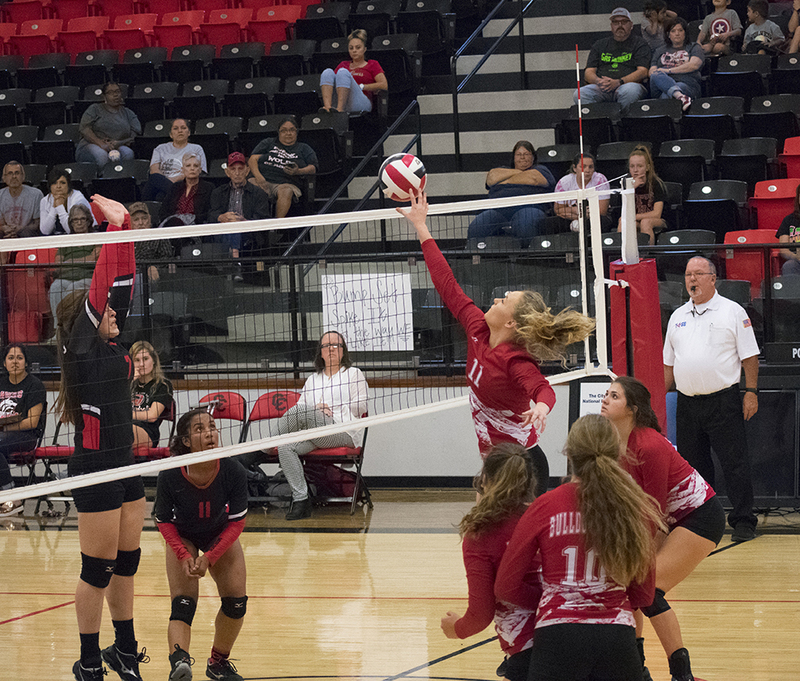 COLORADO CITY - The Coahoma Bulldogettes fell to 0-2 in district play after losing to the Colorado City Lady Wolves Saturday in three sets 20-25, 17-25, 18-25. It wasn’t an easy win for the Lady Wolves thanks to a stubborn Bulldogette team. Several times during the match both squads refused to give up points by pulling out huge defensive plays to keep the rallies alive. In the first set, Coahoma started out strong building up a 4-point advantage before the Colorado City squad chipped away the deficit and took over the lead by mid-match. Coahoma roared back cutting down an 8-point deficit to three. However, the Lady Wolves sealed the first game thanks to some solid blocks at the net. With Caitlyn Corley serving, the Bulldogettes made a second come-from-behind bid in the third set racking up 11 straight points on the scoreboard which pushed Coahoma into the lead, 17-16. However, the Lady Wolves were able to gain back control of the game and earned 9 out of the last 10 points in the set for the win. As for individual performances on the Bulldogette squad, Corley stepped up on her defensive skills with 7 digs including several critical saves and two blocks. On offensive, Ashley Romero led Coahoma with 5 kills followed by McKynlee Overton with 4. Julia Mashburn had 5 assists. 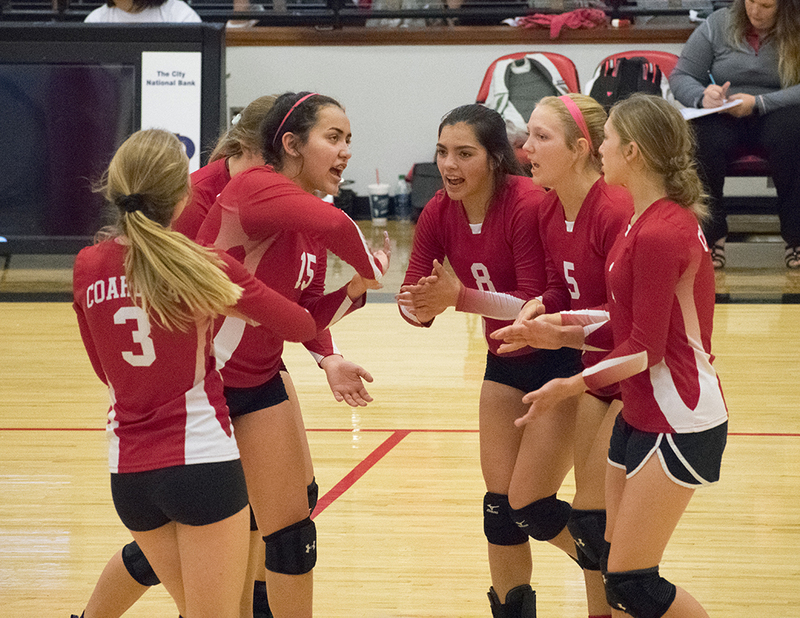 Before the varsity game, the Coahoma JV Red team won their match against Colorado City in three sets (23-25, 27-25, 25-23).The Bulldogette JV White team had the weekend off. Next: Coahoma will play Coleman Tuesday at the CES competition gym. JV White will play 4:30 p.m. followed by JV Red at 5:30 p.m. The Bulldogette varsity team game begins at 6:30 p.m. Kills: Ashley Romero, 5; MaKynlee Overton, 4; Julia Mashburn, 1; Sydney Rinard, 1; Caitlyn Corley, 1; Paige Atkins, 1. Blocks: Overton, 2; Corley, 2. Assists: Mashburn, 5; Jaydan Mann, 4. Digs: Corley, 7; Overton, 2; Kirah Kimball, 1; Haven Martin 1.